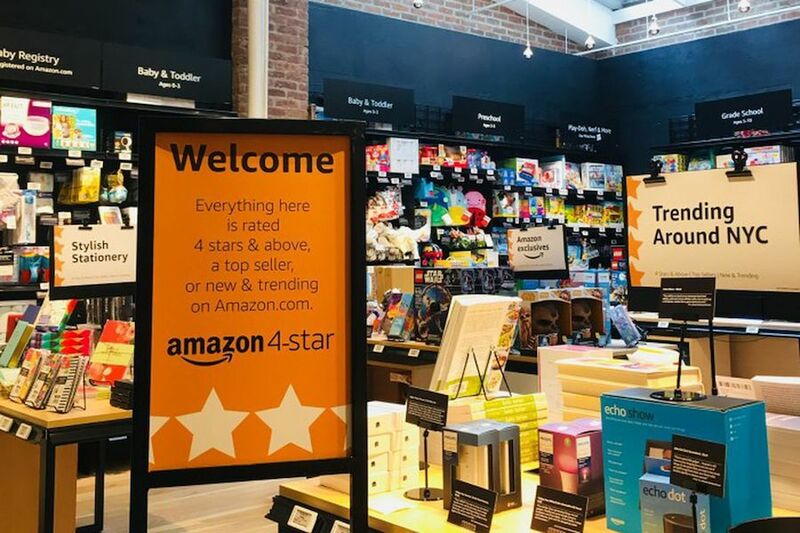 Amazon on Thursday opened Amazon 4-star, a new physical store where everything for sale is rated 4 stars and above, is a top seller or is new and trending on Amazon.com. According to Golf Datatech, golf rounds played in the U.S. were down 1.6 percent in August year-over-year on a national level. DPS, makers of ski products, recently hired Louis Boudrias as part of the company’s internal sales team expansion. Boudrias will serve as the brand’s European sales manager. Colorado Teardrops, specializing in premium teardrop style trailers, announced that the company is relocating headquarters to a new building on October 1, allowing for further expansion as the company grows. Vasque Footwear, part of the Red Wing Shoe Company, announced that Allison Gettings has been named vice president and general manager of Red Wing Vasque. George Curleigh, who has served as vice president and general manager for Vasque and Red Wing Heritage for two years, will pivot to focus exclusively on the global growth of Red Wing Heritage. Gordon Hayward, the Boston Celtics forward, has reportedly agreed to a “massive shoe deal” with Chinese sportswear brand Anta, according to ESPN. New York Road Runners (NYRR) announced Team #MovedMe, a group of inspirational runners participating in the TCS New York City Marathon who embody the transformative power of running. Panelists have been announced for the IHRSA Women’s Leadership Summit, hosted by Athletic Business, on Thursday, November 8, at the Ernest N. Morial Convention Center in New Orleans, LA. Nike nearly ended the company’s contract with Colin Kaepernick in the summer of 2017 before moving this year to have the former quarterback play a prominent role in the brand’s 30th anniversary ad campaign according to a report in the New York Times. Marcolin Group, one of the world’s leading eyewear companies, and TBL Licensing LLC announced the early renewal of the licensing agreement for the design, production and worldwide distribution of Timberland optical frames and sunglasses. Fabletics, the active-lifestyle brand co-founded by Kate Hudson in 2013, announced the first partnership between Hudson and her mother, actress Goldie Hawn, to launch a global capsule collection in support of The Goldie Hawn Foundation’s MindUP. Moody’s Investors Service upgraded G-III Apparel Group Ltd.’s senior secured term loan to Ba3 from B1, and the company’s speculative grade liquidity rating to SGL-2 from SGL-3. At the same time, Moody’s affirmed the company’s Ba3 corporate family rating (CFR) and Ba3-PD probability of default Rating (PDR). The ratings outlook is stable. Johnson Outdoors Inc. announced approval by the company’s Board of Directors of a quarterly cash dividend of 14 cents per class A share and 12.73 cents per class B share. Investors in American Outdoor Brands Corp., the parent of Smith & Wesson, on Tuesday won a shareholder vote urging the firearms maker to do more to address gun violence. Perry Ellis International Inc. in a regulatory filing urged shareholders to approve the acquisition led by George Feldenkreis at special shareholder meeting in October. Target Decorated Apparel, a leading contract decorator for the promotional products and retail industries, announced that Kevin Schardt has been appointed president. Schardt will assume the role previously filled by Target Decorated Apparel owner and chairman Steve Kanney. With support from the Outdoor Industry Association (OIA) and specifically the Outdoor Foundation (OF), the Association of Outdoor Recreation and Education (AORE) will assume ownership of the Outdoor Nation Campus Challenge (ONCC) in the fall of 2018 and will work alongside OF staff to seamlessly transition assets, knowledge and resources. The Conservation Alliance and Outdoor Industry Association released a letter Monday signed by more than 280 outdoor-focused businesses and organizations asking Congress to permanently reauthorize the Land and Water Conservation Fund (LWCF) with full and dedicated funding. Retailer Nordstrom Inc. on Tuesday announced plans to reopen the company’s store at the Mall of San Juan in Puerto Rico, which had been closed since fall 2018 as a result of severe damage from Hurricane Maria. The National Ski Areas Association (NSAA) has named Adrienne Saia Isaac to the newly formed position of marketing and communications director. Under Armour Inc. on Tuesday announced two new additions to the company’s senior management team with the appointments of Alessandro de Pestel as chief marketing officer and Ann Funai as senior vice president, engineering. Sears Holdings Corp. CEO Eddie Lampert’s hedge fund in a regulatory filing called on Sears’ board to sell $1.5 billion more in real estate and restructure $1.1 billion in debt in order to stave off a bankruptcy filing. The PGA Tour and Technogym have announced a multi-year partnership designating Technogym as an Official Supplier of the PGA Tour Player Performance Center. William Murray Golf, a golf apparel company owned by actor and comedian Bill Murray and his six brothers, have leased an office space at 1308 E. Seventh St., Austin, TX. USPA Global Licensing Inc. (USPAGL), the official licensing arm and broadcaster of the United States Polo Association (USPA), along with the company’s China licensing partner, Yicai Brands Management, announced that U.S. Polo Assn. will be the official apparel sponsor of the 2018 China Open Polo Tournament. Brooks Running Company is inviting marathoners and 10 milers to participate in the “Outrun Yourself Challenge,” which encourages runners to strive for a new goal. Runners who improve their overall race time from 2017 will be awarded for their accomplishment with prizes including Brooks gear and entry into the 2019 Medtronic Twin Cities Marathon. Outdoor Industry Association (OIA) announced the association’s endorsement of U.S. Senator Martin Heinrich for re-election, due in large part to his tireless support for New Mexico’s public land and water and the state’s nearly $10 billion outdoor recreation economy, along with the 99,000 jobs it supports. The second annual Interbike Innovation Awards were decided at Interbike 2018. Winners of Road Product Innovation include the Bianchi E-Aria, Reform Road Saddle, Hope RX4 Disc Brake and Pioneer CA600 Computer. Boulder Cycle Sport and Boulder Nordic Sport, two Boulder-based retail leaders, announced the merger of their business operations. Nike released some clever imagery honoring Tiger Woods and his victory at the recent PGA Tour Championship, his first PGA event win since 2013. Elevator Group, a strategic and creative agency known for launching brands and product lines, and True North Brand Group Inc., specializing in launching products, brand awareness and measurement, are merging to form Elevator North. Earth Treks Climbing and Fitness and Planet Granite Climbing, Yoga and Fitness on Monday announced the change of their corporate name to El Cap Holdings LLC. Tile, a startup that makes an app and devices to help keep track of the location of things, appointed CJ Prober, former COO of GoPro, as the company’s new chief executive officer. Camping World Holdings Inc. announced that the company’s RV and outdoor lifestyle organization, the Good Sam Club, has surpassed the Two Million Member mark. Pirelli, the Italian tire manufacturer, hired Sasquatch Agency as the company’s public relations agency of record for all cycling products within the United States of America and Canada. Shares of Farfetch, the London-based luxury online marketplace, jumped more than 50 percent in the company’s initial public offering debut Friday. About 970 safety straps from Titan Manufacturing and Distributing are being recalled. Asics announced five start-ups to benefit from Tenkan-Ten, the growth catalyst program for businesses disrupting the sports and wellbeing sector. It is a part of the company’s recently launched new business and innovations division. The University of Massachusetts Board of Trustees unanimously approved the creation of the Dr. J. Keith Motley Chair for Sports Leadership & Administration at UMass Boston. The chair will head a new sports management and leadership Bachelor of Arts program enabled by a $5 million pledge, the largest in UMass Boston history, from Boston-based New Balance. Asics Corporation has been selected for the fourth time as a component company of the Dow Jones Sustainability Asia/Pacific Index. The Dow Jones Sustainability Indices (DJSI) are a series of globally-recognized Socially Responsible Investment (SRI) indices. Mystery Ranch has established the Inge Perkins Scholarship Fund in memory of the deceased female rock climber. On December 5 to 8, FIBO—the world’s largest interactive showcase of fitness, health and wellness innovation—will make the company’s United States debut at the Orange County Convention Center in Orlando, FL. The event is produced by Reed Exhibitions. Varsity Brands announced the launch of the company’s 2019 Varsity Brands School Spirit Awards, a national awards program celebrating student achievement in America’s high schools.